Gardai have seized Semtex explosives as well as rifles and ammunition after discovering another dissident republican hide close to the Border. The find was made in a wooded area, close to two similar hides uncovered in searches last month and about two kilometres from Omeath, Co Louth. 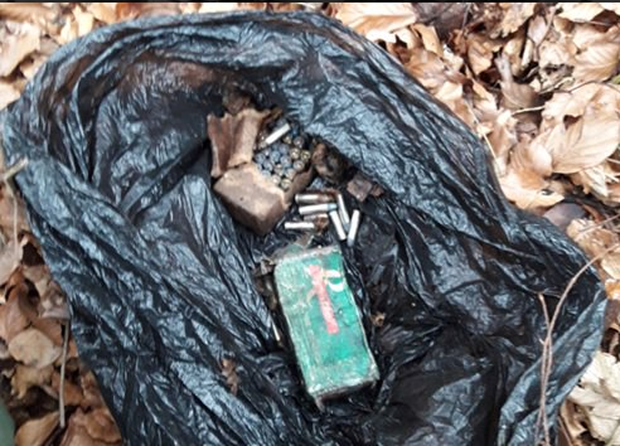 The latest cache contained about a quarter kilo of Semtex explosive, an assault rifle, a second rifle and a couple of boxes of assorted ammunition. A bomb disposal unit from the Defence Forces was called in to deal with the Semtex and destroyed some of the material in a controlled explosion. The search operation began yesterday and is continuing today in the wood, about a mile off the Omeath to Flagstaff road. The garda operation involves officers from the Louth garda division, Special Branch and the Special Tactics and Operations Command (STOC). The operation as a follow up to a big search of the area on February 1 last when gardai seized around a thousand rounds of ammunition for use in small arms and semi automatic rifles, concealed in lunch boxes stashed into a barrel, which had been buried in the ground. 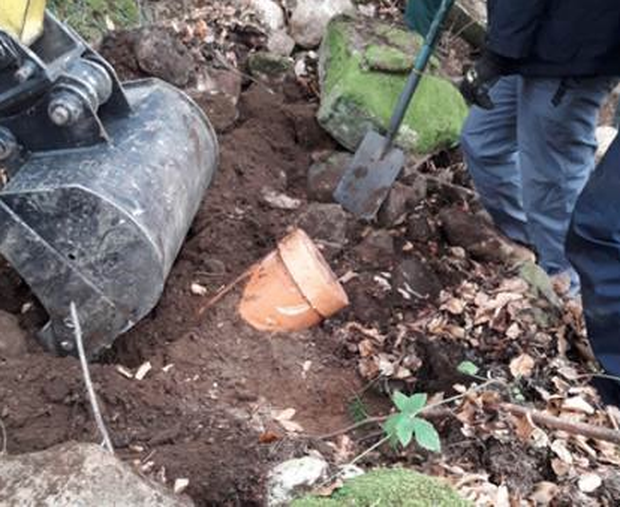 An empty mortar tube was found wrapped in plastic in a separate hide nearby. Gardai believe that further terrorist weapons were also concealed in that area and decided to resume the searches in a wider area. Officers are satisfied that the material belonged to a dissident group, either the Real IRA or OnH, rather than the current dominant republican faction, New IRA, or dating back to the Provisional IRA, which imported tonnes of Semtex into the country from Libya in the mid 1980s. The area has been used in the past for storing arms dumps by different factions. Garda intelligence had indicated that a terror campaign was likely to be reignited by dissidents in the first quarter of year with the terrorists expected to exploit any Border problems created by Brexit.